I've not used coco peat in a compost bin. It costs too much for that. I have used leaves which works well. If you add some native soil (not a whole lot, a few handfuls per layer) it will help the compost break down. Your native soil contains organisms which help break down organic material. I agree, the coco peat isn't a very good additive in your pile. It is water repellent when dry, so doesn't break down easily. 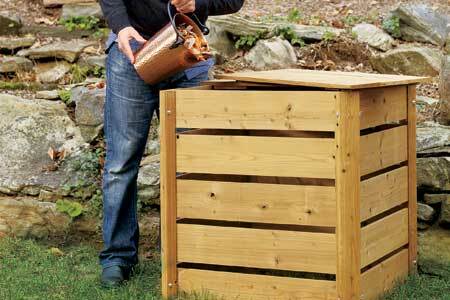 It doesn't have much nutrients, so when it does break down, it doesn't add much to your compost. Check out our compost forum here: viewforum.php?f=35 The first three threads are well worth reading to get started. The first one has an extensive list of greens and browns for your compost pile. I use a lot of fall leaves for my browns, but when I run out of those, I use shredded paper and often I just buy a bale of straw and feed it in a little at a time as I add greens. Compost everything!! Garden trimmings, pulled weeds, kitchen scraps, etc. That looks very good. You can speed up the compost action with wood ash. Wood ash contains lye and lime. Lye helps to break down the organic material. Lime is very good for to prevent blossom end rot on, tomatoes, squash, melons, bell peppers and it is good of other plants too. Urine contains turns to ammonia then nitrogen and contains lime too this is excellent fertilizer, don't flush your best fertilizer down the toilet. Keep your compost bend in full sun, paint it black so it gets hot, too much air lowers the temperature, wrap it in black plastic to make it get hot in the sun.